An appetizing tomato smashed and squeezed to juicy ketchup on tasty bread cubes - this is your Kubeti Ketchup snack. 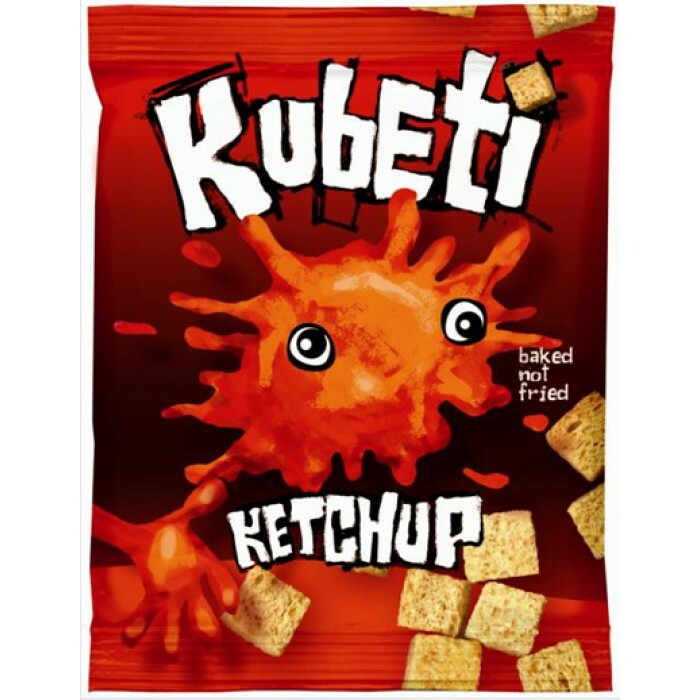 Basic but not plain, this NEW hero Kubeti Salt has his finger in everything – perfect on a cubic ..
Slightly smoked, with a tasty crust in darker and lighter strips Kubeti Bacon does not sizzle but..
Small bread cubes with a distinctive taste of well-done red meat pickled in red wine and black pe.. There is nothing tastier than a classic combination of cheese and baked rye-wheat bread in cubes ..
Have you ever wondered what a cubic chicken would look like? Kubeti Chicken answers this question.. In addition to being the perfect hunger repellant for teenagers, the wild Kubeti Garlic flavor co..
Kubeti are springing like mushrooms and its no wonder. With the fungilicious Kubeti Mushrooms fla..
A pizza would be much more convenient for eating if it is not a huge circle but small cubes that .. This is the traditional Greek recipe for the well-known yoghurt-and-cucumber salad but served in ..